The new breed of high performance chillers based on Turbocor compressors require specialist servicing to ensure safety and optimum performance, says Ken Strong of Cool-Therm. The Turbocor-based chiller, in the form of the award-winning Turbomiser and several market variants, has proved to be one of the industry’s success stories of the past few years. Sales of the high efficiency machines have risen every year since their launch five years ago. According to the latest industry figures, Turbocor-based machines are the only sector of the chiller market currently growing; while sales of reciprocating, screw and scroll-based chillers fell last year, sales of Turbocor machines rose by 50 per cent and are forecast to increase again this year. As the installed base of these high-performance machines grows across the country, the issue of ensuring effective and timely servicing comes to the fore. It is known that the oil-less design and reduced number of moving parts have major benefits in terms of reduced servicing. 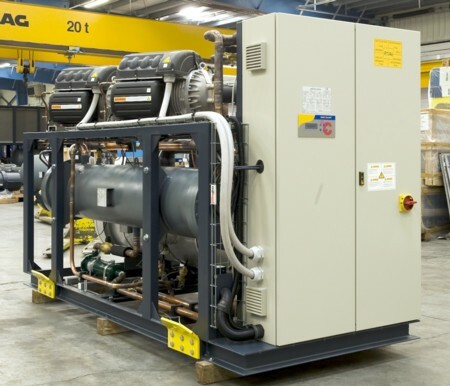 Along with its low energy consumption, this is one of the main attractions of the technology versus conventional chillers, which rely on maintenance-hungry oil-based lubrication systems. Although the servicing needs of Turbocor machines are significantly reduced, for the periodic servicing that is required it is crucial to ensure this is carried out to the highest standards by knowledgeable and well trained engineers. Turbocor is like a high performance car. It can deliver outstanding performance but needs expert back-up at the right intervals to ensure it stays in optimum condition – and continues to perform. The compressor is based on a two-stage centrifugal pump and spindle, which is levitated in a powered magnetic bearing. A DV inverter powers the motor, and the system is under the control of a highly sophisticated onboard microprocessor. In the same way that it would be unwise to employ a back-street garage mechanic in the pits for an F1 championship, it is risky and potentially dangerous to let an untrained service engineer loose on a Turbocor. There have been some instances where field engineers or enthusiastic end users untrained in the technology have tried to tackle Turbocor servicing independently. In some cases, this has resulted in catastrophic damage to compressors and put their chiller out of action. The truth is that the principles behind the technology are completely different to conventional compression systems. On a mechanical level, with its single moving part – the shaft and related impellers, the Turbocor is deceptively simple. However, related support systems, particularly the electronics, are incredibly sophisticated. It is genuinely space-age technology. To handle it safely and effectively requires specialist training. For example, a key requirement is to ensure that electronic components contained within Turbocor are protected from moisture. Because the electronic systems are critical to Turbocor’s performance, this aspect is part of a regular annual service that needs to be carried out according to a set procedure. Continuing with electronics, Turbocor is equipped with a bank of high-power capacitors, mounted on the side of the compressor case. These are there as back-up, and triggered in the event of mains power failure to provide electrical power to keep the unit operating until it can be brought to a controlled stop. Due to normal deterioration over time, it is necessary to replace the capacitors after 10 years of service. There are serious health and safety issues in handling these components due to the enormous voltages – that could cause serious injury in untrained hands. For this reason, the procedure must be done by a fully trained Turbocor technician. One of the advanced features of Turbocor is its onboard data collection, management and diagnostic system. Trained service technicians can connect up a lap-top and access a full history of a machine’s current and past performance. This shows COPs, capacity, output and any faults or alarms over the period since the last service. To evaluate this wealth of data effectively requires training in the Turbocor operating and diagnostic system. The interface can also be used to make adjustments to key system parameters; without proper knowledge, it would be possible to create potentially unsafe conditions that could seriously adversely affect the performance of the chiller. In the case of the Turbomiser, the compressor controls are integrated with the overall chiller controls in order to optimise performance for a given set of conditions. This can deliver exceptional efficiencies and is one of the keys to its award-winning performance. In order to get the best from the system, however, it is necessary to make fine adjustments to seasonally tune the machine to ambient conditions and maximise energy efficiency performance. Effective leak detection is an increasingly important area, and with Turbocor requires a careful approach. This is not because the compressor exhibits any tendency to leak; it is renowned for its leak-tightness. However, because of Turbocor’s oil-less design, field engineers cannot rely on the conventional approach of spotting oil leaks around the system as a clue to possible points of refrigerant leakage. Being oil-less, this is simply not an option. Therefore correct use of electronic or ultrasonic refrigerant leak detection is needed when servicing the machine. The number of Turbomiser and Turbocor-based chillers in use in the market is set to grow. As energy prices rise, sales of the high performance machines will continue to displace sales of traditional screw and reciprocating chillers. The technology is transforming the energy efficiency of data centres, hospitals, offices, banks and shopping centres – and dramatically reducing the cost of servicing chillers in the field. For the reasons highlighted, however, it is vital that the servicing that is required by these thoroughbred machines is carried out by trained service engineers. People’s safety, and the security of the process or building being cooled, depend on it.